By now, we should know when Elon Musk makes a joke, there’s a good chance that joke is going to turn into a reality. Musk joked on Twitter about trading congested Los Angeles highways for an underground tunnel. We’ve all been there, right? We just don’t have the gumption (or the funds) to go through with it. Seeing Musk’s rush-hour rant progress into a fully operational company is just one of the many things that put Elon Musk into a category of one. I don’t think I’d want a rogue hubcap to fall on my head either. The Boring Company is indeed making slow progress, slower than a snail’s pace actually, but the company has found some incredible branding success through promotional products. First offering branded hats with the company’s clever moniker in October, 50,000 hats sold out in less than a month. 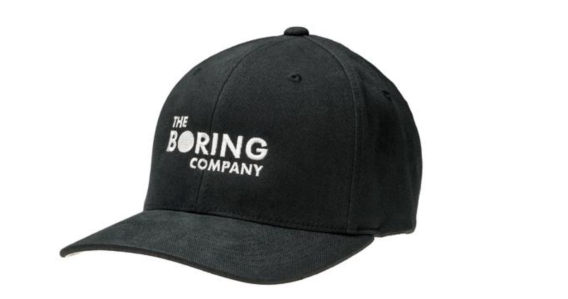 Taking it a step further and playing the part of a techie Willy Wonka, Musk invited 10 buyers of the promotional caps to tour the factory and drive the boring machine. 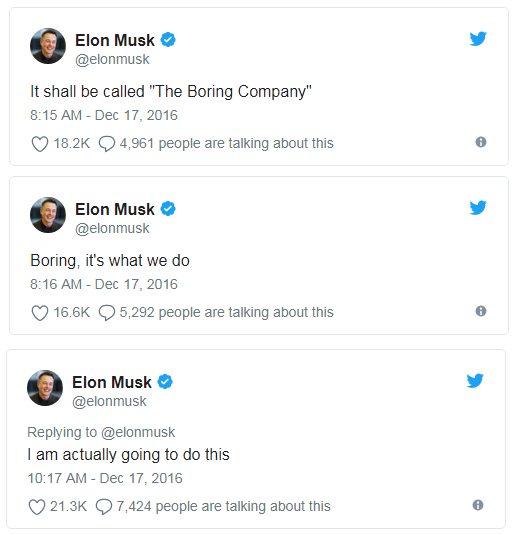 Musk has said that The Boring Company only takes up 2% of his time. So if that’s the case, The Boring Company = butterscotch ripple for Musk. The revenue generated from the promotional caps will help fund the company’s projects. The Boring Company sold all 20,000 of the $500 flamethrowers, resulting in about 10 million dollars in just five days to put towards the company’s tunnel-digging ventures. One could argue this promo product brilliantly hit the mark by attracting so much attention from a public ordinarily not interested in tunnel boring. Tunnels, after all, aren’t as attractive as say a Tesla Roadster. But it’s all flames and games until you get to customs. 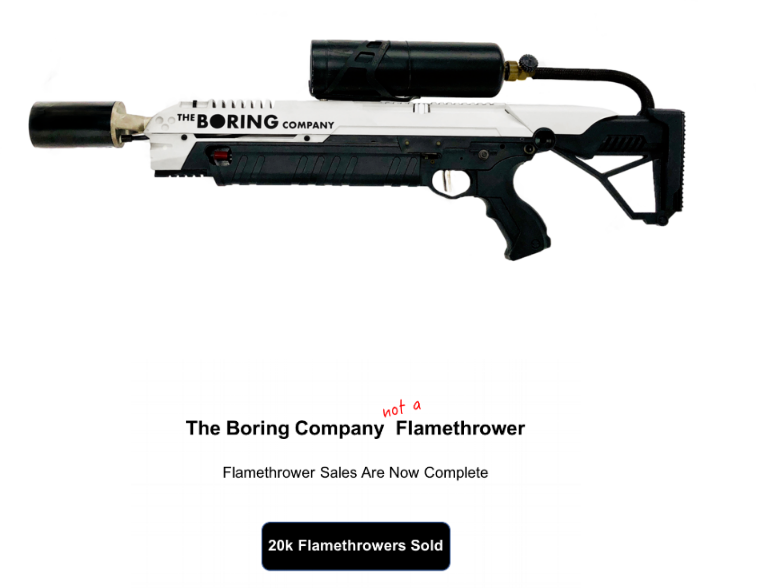 The Boring Company’s flamethrower is legal to use in all U.S. states except for Maryland. We can’t wait to see what brilliant promo product Musk comes up with next! Perhaps branded fire extinguishers?